My name is Sameera and I am a graduate student in the MBA/MPH program at UC Berkeley. Through the generous support of the Rashell Young Fellowship, I spent this summer interning in Chennai, India with East Meets West Foundation, an international development NGO working in South and Southeast Asia. Specifically, I worked with their Breath of Life program, an integrated neonatal health intervention targeted at reducing neonatal mortality rates at government sector hospitals in India. The program is three pronged and designed to provide low-cost, context appropriate medical devices that can be used in the NICU, to deliver ongoing maintenance support for medical equipment, and to train physicians and nurses in providing appropriate neonatal care. The Breath of Life program is especially important in India as the country is at serious risk of not achieving Millennium Development Goal 4, which is to reduce the under-5 child mortality rate by two-thirds between 1990 and 2015. The national under-5 child mortality rate in the country was estimated at 64/1000 live births (71 in rural areas and 41 in urban areas) and current projections suggest that India will miss the 2015 target by 12%. 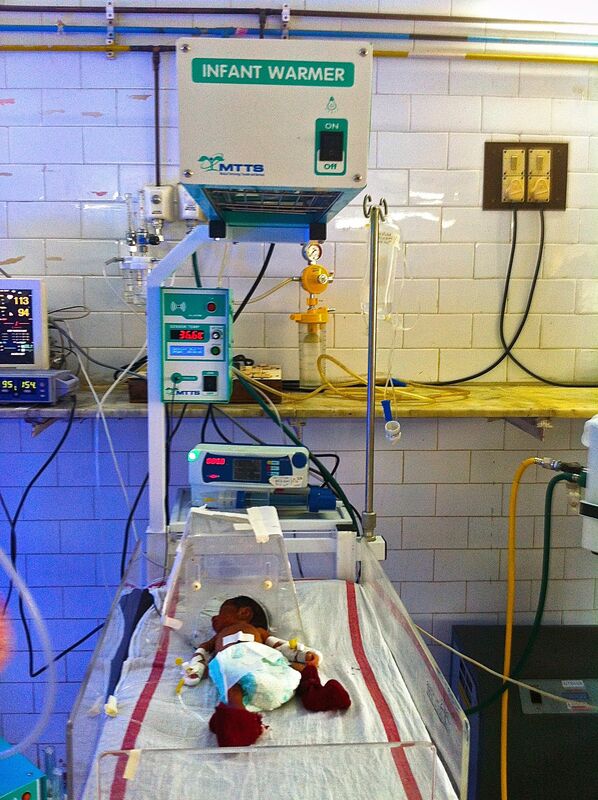 Reduction in the neonatal mortality in India is critical to meeting MDG 4 as neonatal deaths account for over 52% of all under-5 mortality and India accounts for almost 25% of global neonatal deaths each year. In talks with the country director in India for the Breath of Life program before my internship, she noted how critical nurses were to the success of the program and how it would be useful to better understand the nursing sector in India and the challenges and opportunities faced by these health care workers. Through a mix of primary and secondary research, I was able to provide East Meets West Foundation with a better understanding of the nursing education structure in India, the key challenges faced by the sector, and differences in neonatal care at private sector and public sector government hospitals. 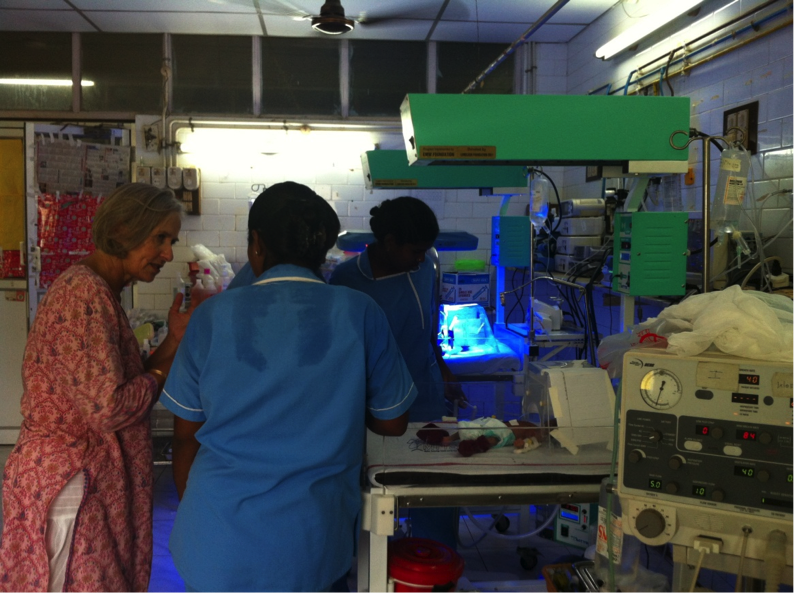 The highlights of the internship for me were the times that I was able to go to the pilot hospital sites near Chennai that were currently implementing the Breath of Life program, and the interviews that I conducted with nurses in private and public hospitals that were not implementing the program. I was inspired by the nurses at the government hospitals implementing the Breath of Life program, as they were enthusiastic, proactive in identifying and troubleshooting problems with equipment, and eager to improve their skills through additional training. During my interviews with nurses in the private and public sector hospitals, I was surprised to see the operational differences of NICUs in the private and public sector. The private sector hospitals are able to provide high level of care through rigorous training of staff, routine maintenance of critical equipment, performance based incentive systems, and creating a culture that rewards and supports good nursing care. I have included a few pictures to share some of what I saw and experienced during my time in India. Thank you for giving me this opportunity to gain first-hand experience working on public health issues on the ground in India and to learn about the challenges and opportunities facing the sector. I am convinced more than ever before that my choice to transition into the field of global health is the right one as there are many problems left to be solved and I am looking forward to the career opportunities that lie ahead to make a positive impact in this field.